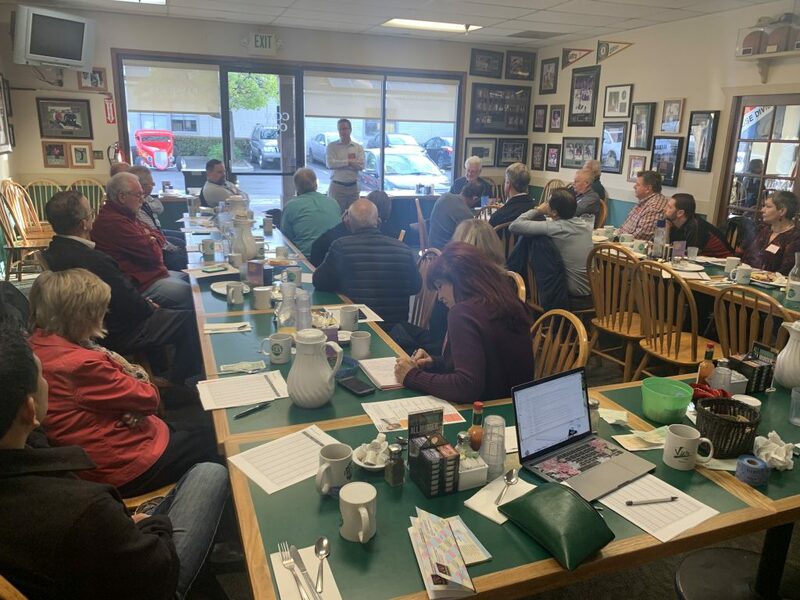 NEXT MEETING: The next meeting of the Tri-Valley Executives’ Association will be held on April 4th Vic’s All Star Kitchen at 7:00am. The pot of the TVEA 50/50 Raffle is up to $310 with 3 white marbles ($5), 0 blue marbles ($10) and 1 red marble (takes the “pot”). Who do you know who would be a great fit for our group? This entry was posted in Weekly Updates. Bookmark the permalink. Copyright © 2018 Tri-Valley Executives Association. All Rights Reserved.